We all know that product managers speak the same lingo to explain what they actually mean. But software engineers are just as culpable of a common dialect with hidden meaning. 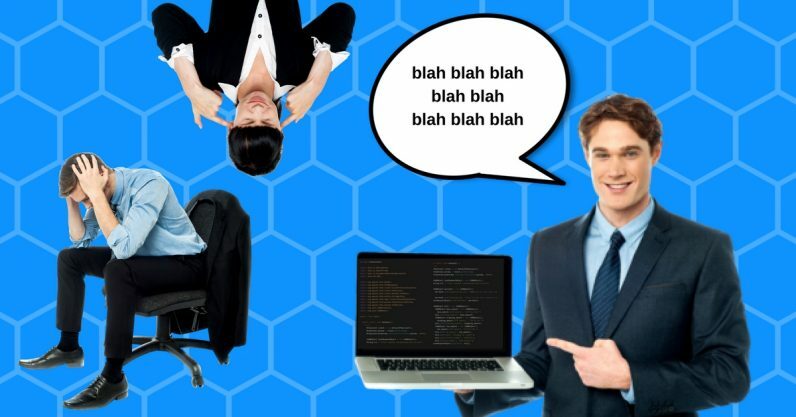 Here are eight of the most common programmer sayings, translated. Disclaimer: I’m a former PM. But with the help of Google SWE Pragya Bajoria, these shouldn’t be too far from the truth. 1. This will take me a week to finish. 2. We can’t implement that feature. Translation: I really don’t want to do the work to make this feature so it’s easier to just say it’s impossible. 3. Is this a P0/P1? Translation: This isn’t worth fixing right now, and possibly never. 4. I can’t make the meeting. Translation: Please stop booking my calendar with these thirty-minute meetings so that you can “update” me on things unrelated to my work. 6. I’ll add the tests later. Translation: I have a dinner plan right after work today so I’m hoping to leave early, but I still want to make it seem like I did something useful today. 7. I don’t have the mocks for it. Translation: I was too lazy to ask the designer for mocks because I knew if I did, I’d actually have to finish this action item. 8. Do I get a shirt for it? Translation: T-shirts are to software engineers as pet treats are to dogs.